A collection of never-before-seen nail polish effects and top coats in a colorful array of glitter, shimmer, metallic, and textured finishes. Take your manicure to the next level with this mesmerizing spectrum of nail polish effects and top coats. From color-shifting microcrystals that glimmer in pigment-packed jewel tones, to supersized multi-glitters that sparkle in 3D, each one offers something unique and unexpected letting you switch up your nail look and express your every mood. They offer innovative textures that are inspired by nature, including the Black Quartz and Sea Glass shades, sleek metallics in brushed, demi-matte, and ultra-chrome finishes, and transformative top coats that double your mani wardrobe when you layer them over any nail color. 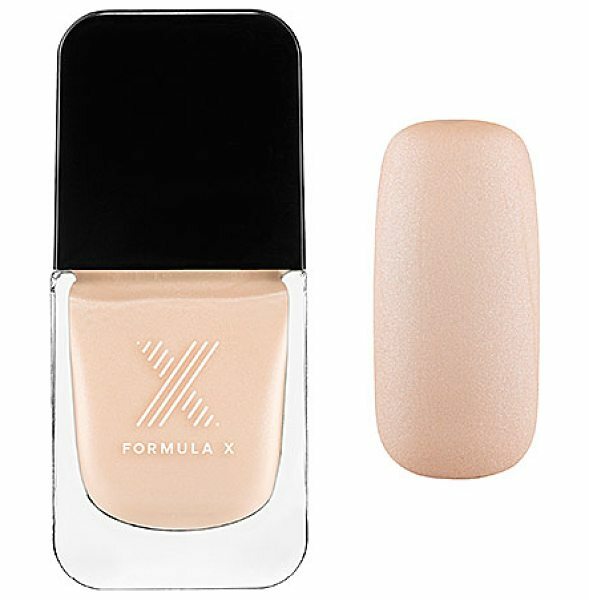 Each nail polish features a customized brush design that was engineered to complement Formula X's highly pigmented formulas with precise application. It is formulated Without: - Parabens - Sulfates - Phthalates Formula X is always cruelty-free and a three-free formulated (free of dibutyl phthalate (DBP), formaldehyde, and toluene).